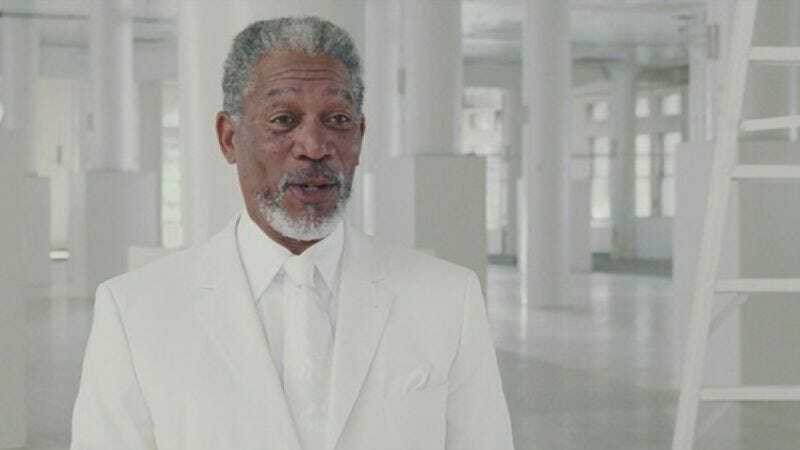 Morgan Freeman’s played God onscreen as well as narrated His “biography,” and now it looks like he’ll act as His own emissary. According to The Hollywood Reporter, Freeman is in talks to play Drosselmeyer in Disney’s The Nutcracker And The Four Realms. In the original ballet, Drosselmeyer is a magician and councilman who also has a third vocation as Clara’s godfather, and he will remain a mysterious character in the upcoming live-action film that also stars dancing sensation Misty Copeland. Interstellar’s Mackenzie Foy has been cast as Drosselmeyer/Freeman’s spiritual ward, and really, who better to take you through the tenets of Christianity than the guy responsible for them, right? We mean, director Lasse Hallström’s going to have to do something to make up for the lack of dancing in the film, so he might as well play up Drosselmeyer’s magical abilities—and the local government angle’s a tougher sell.